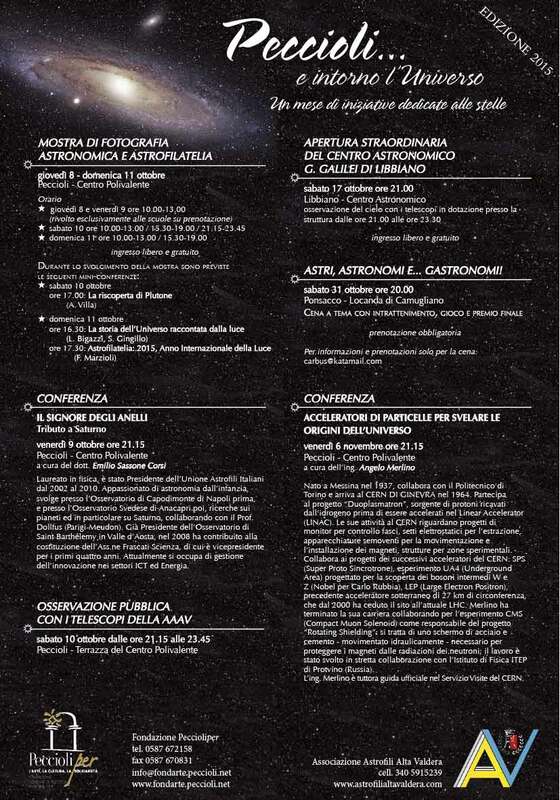 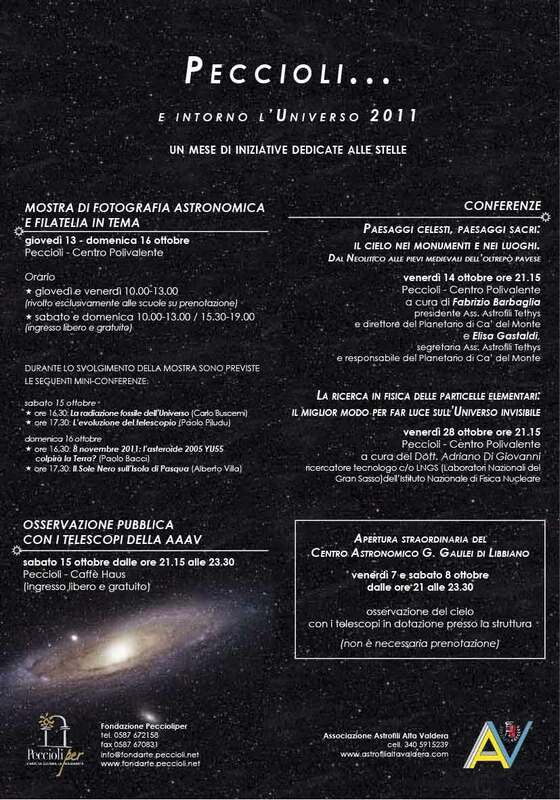 Mostra di fotografia astronomica, centro polivalente 2013. 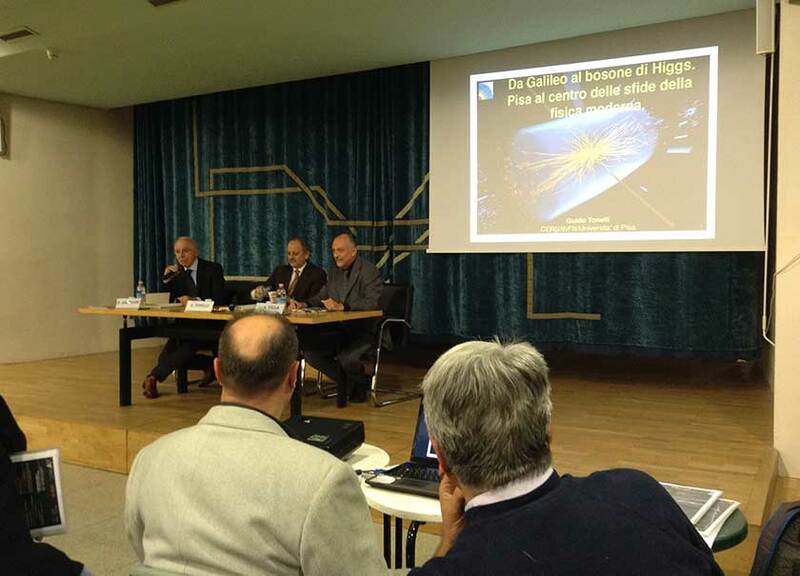 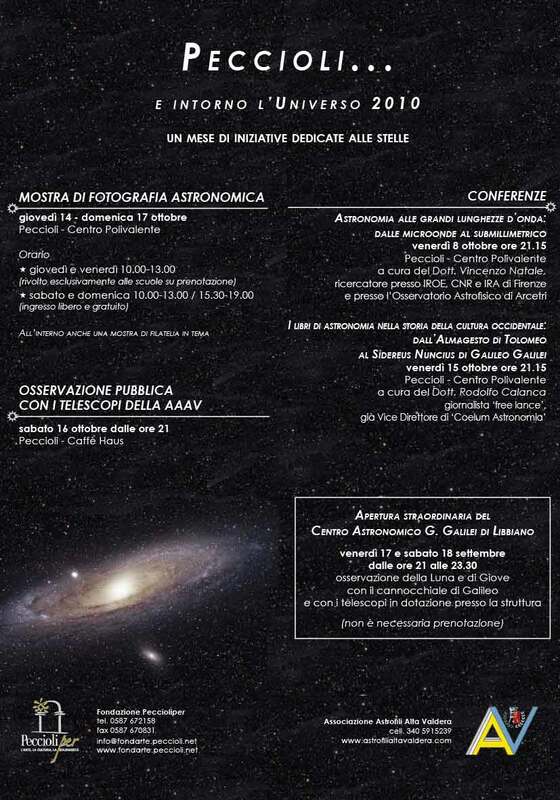 “Peccioli… and the Universe around it” is an event born in 2004 and organized by the Alta Valdera Astrophiles Association. 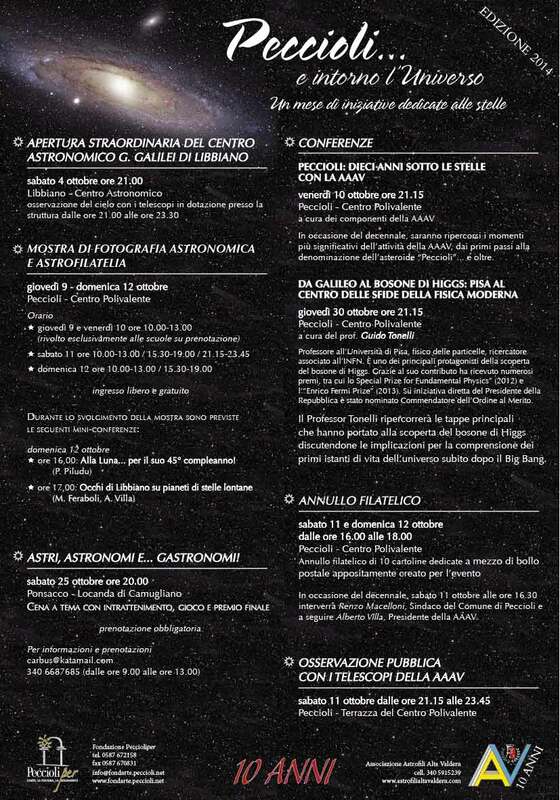 It takes place during the month of October. 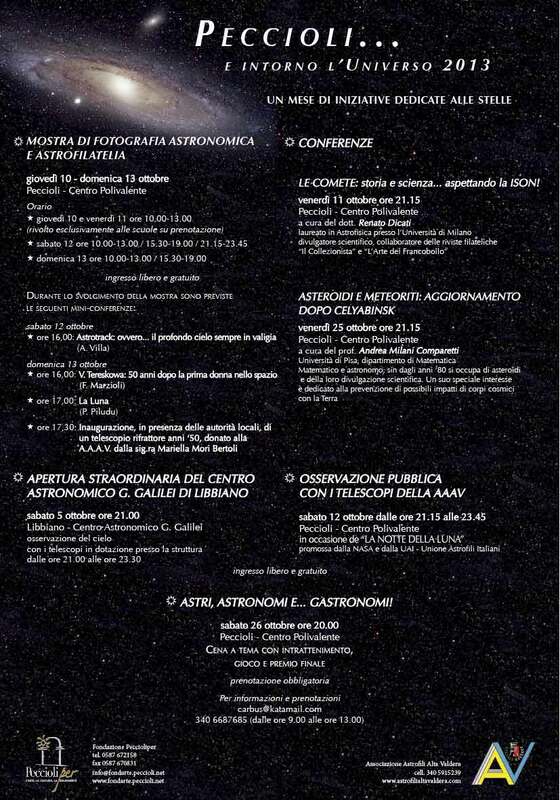 For a whole month there are conferences with eminent personalities from the national and international scientific scene, guided observations of the sky, meetings and debates. 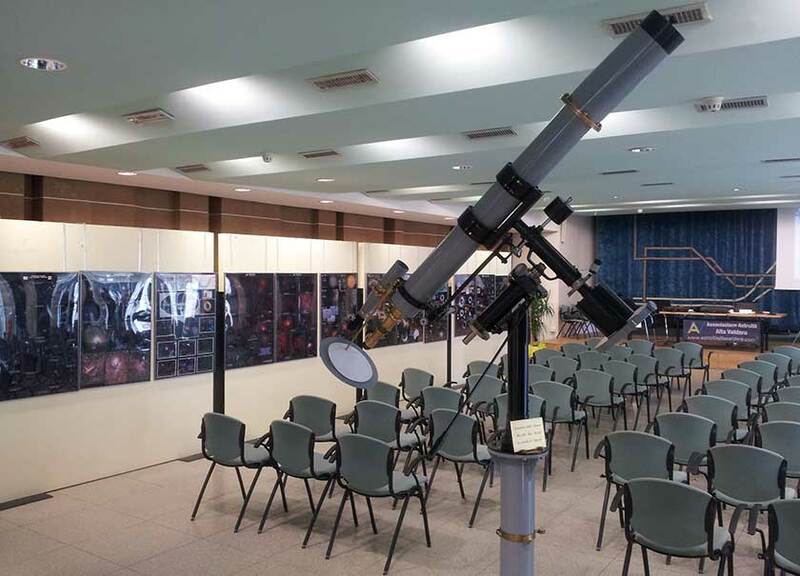 Professional participants, but also those who are amateurs, are approached to the fascinating world of astronomy. 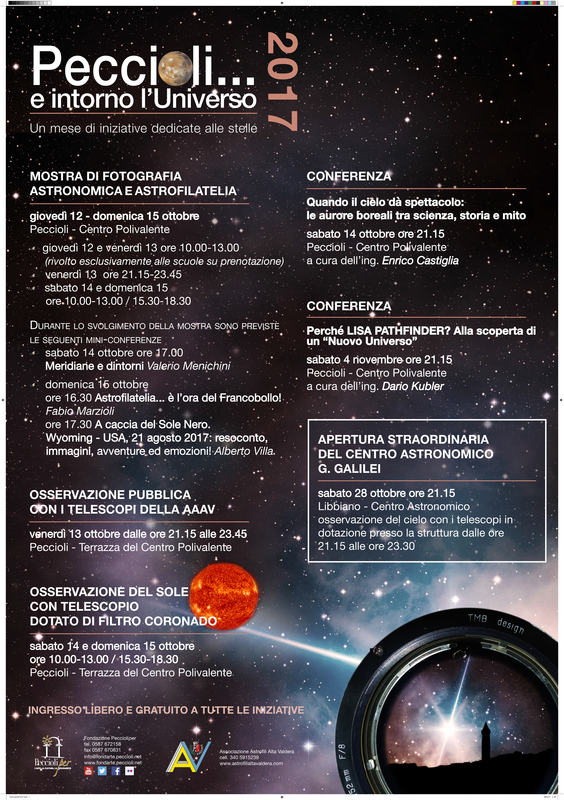 Every year, exhibitions of astronomical photography and astrophilately are housed in the Polivalente Centre of Peccioli. 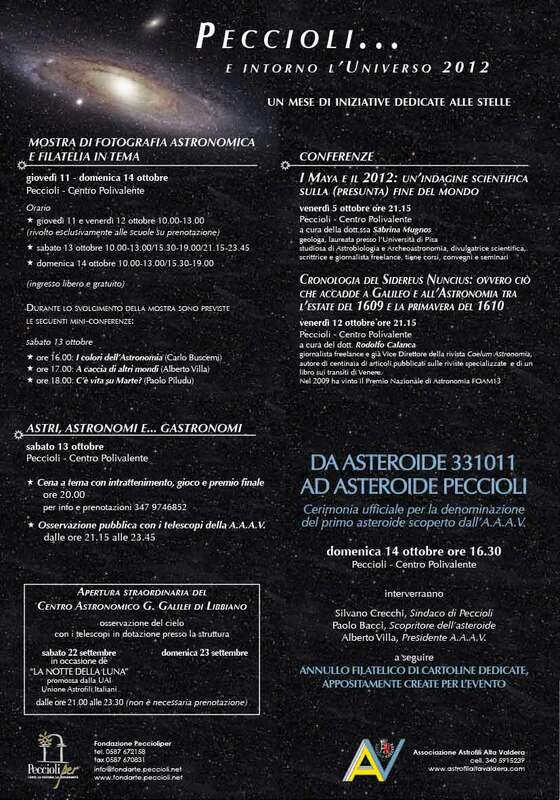 The month dedicated to the stars ends with the traditional astronomical themed dinner.